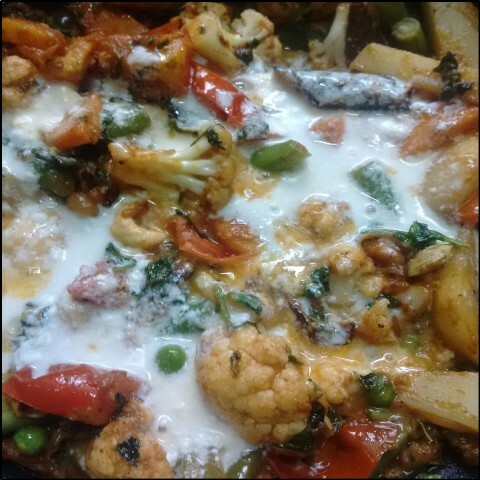 Easy Vegetable Biriyani - This Easy Vegetable Biriyani is an easy weekend lunch that's full of nice flavour. Try this recipe and the whole family can enjoy. When you make biriyani you should expect two things they are the rice should be firm not mushy and it should be full of bold flavours. If you follow some basic methods it should be easy to cook a tasty biriyani. 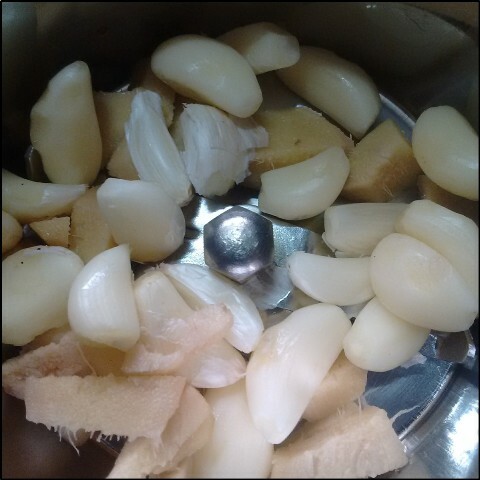 Whenever I make biryani, I always prepare a fresh ginger garlic paste. (Do not peel the garlic skin because it adds nice flavour and taste). The ginger garlic paste is the first main ingredient which enhances the taste of the rice. I have used all the dry spices and the biriyani masala powder. 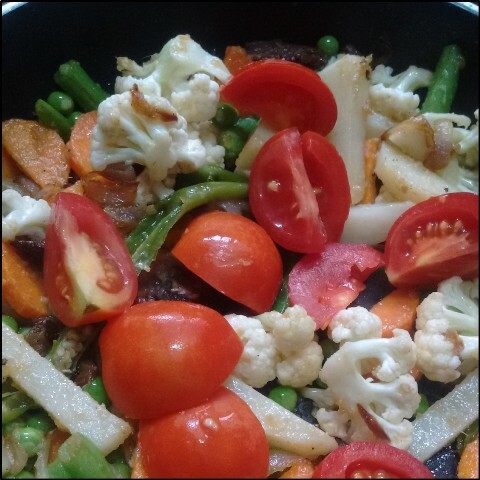 I have used the basic combination of vegetabIes that everyone like and you can add any other vegetabIes that you want. 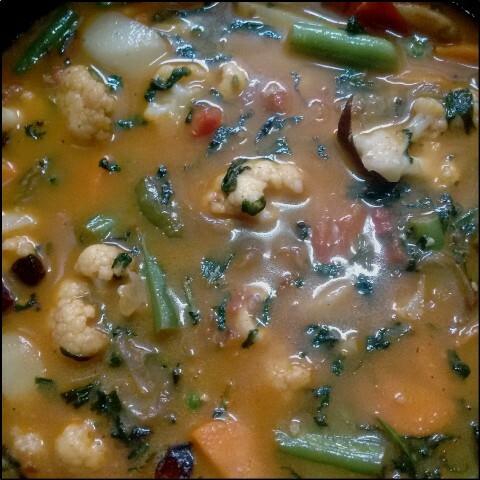 I also prefer to add ghee and oil in minimal amounts. Letting the rice rest for 1 to 2 hours before serving helps to release the flavours from the spices and the rice also stay distinct. If you do not have biryani masala powder, you can replace it with 1/2 tsp red chilly powder and 1 tsp garamasala powder. 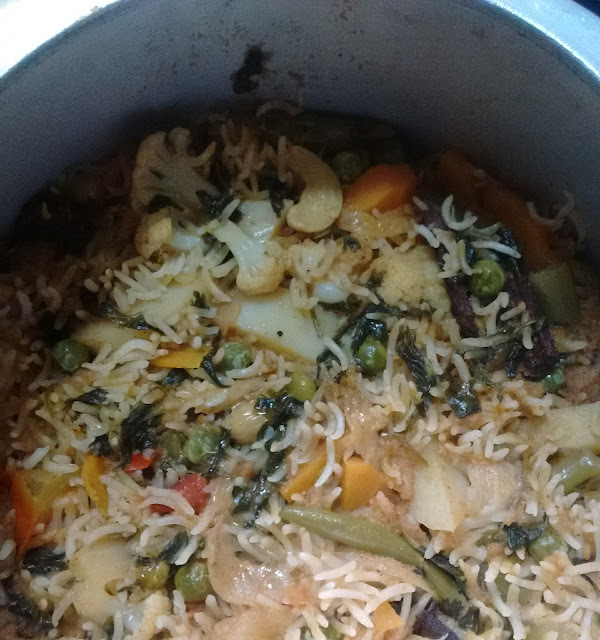 This Easy Vegetable Biriyani is really simple to make and it has a nice flavour. Let's see how to prepare this Easy Vegetable Biryani with step by step photos. 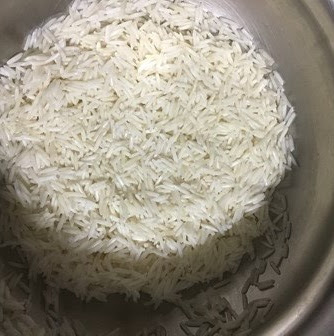 Take the basmati rice in a bowl and rinse it in cold water for 3 times. Soak the rice with 1 cup of water for 20 minutes. Grind the ginger and garlic with little water. Heat 2 tbsp oil and 1 tbsp ghee in a wide pan. 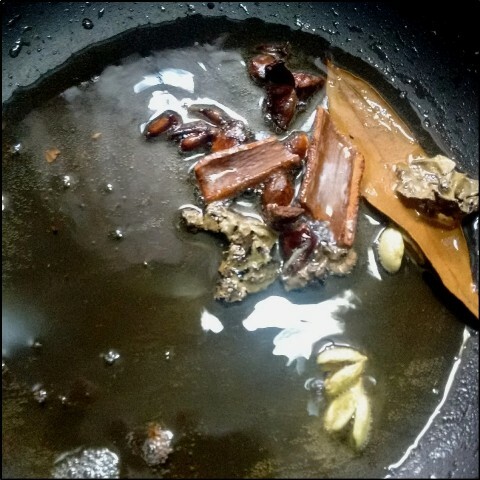 Add the following spices one by one - bay leaf, cinnamon, cloves, kalpasi, star aniseed. Saute it till they crackle. Then add the onions. 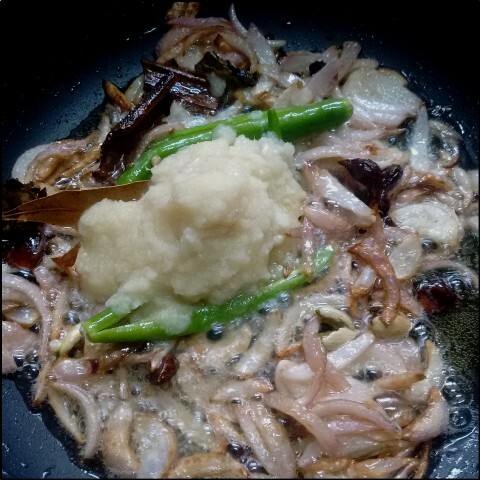 Saute in low flame till they turn golden brown.When the onions turn golden brown add the ginger garlic paste and green chillies. Saute it till the raw smell of the ginger garlic disappears. Next add the vegetables one by one and saute it for 2 minutes. After 2 minutes add the tomato wedges and saute it one more minute. Add the mint leaves and coriander leaves. Saute it for a minute. 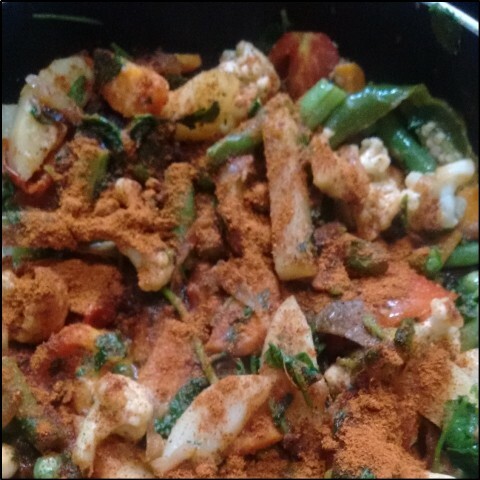 Then add the biriyani masala powder and mix them evenly with the vegetables. Next, add the thick curd and mix them well. Now add 2 cups of water and required salt. Mix well and cover it with a lid. 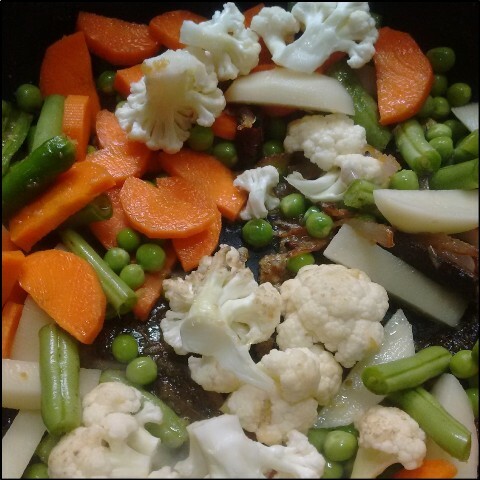 Cook till the vegetables are half done.When the vegetables are half done slowly transfer the gravy to the pressure cooker. 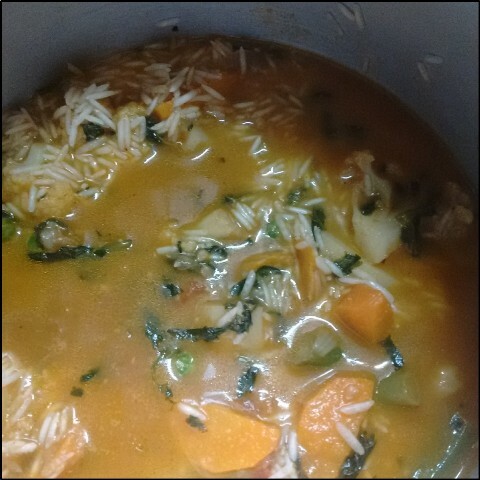 Add the rice and close the cooker. On a low flame, cook the rice for 10 to 15 minutes.After 15 minutes switch off the flame and keep it undisturbed for another 15 minutes. Then open the cooker and add the remaining ghee and lemon juice. Gently mix the rice. 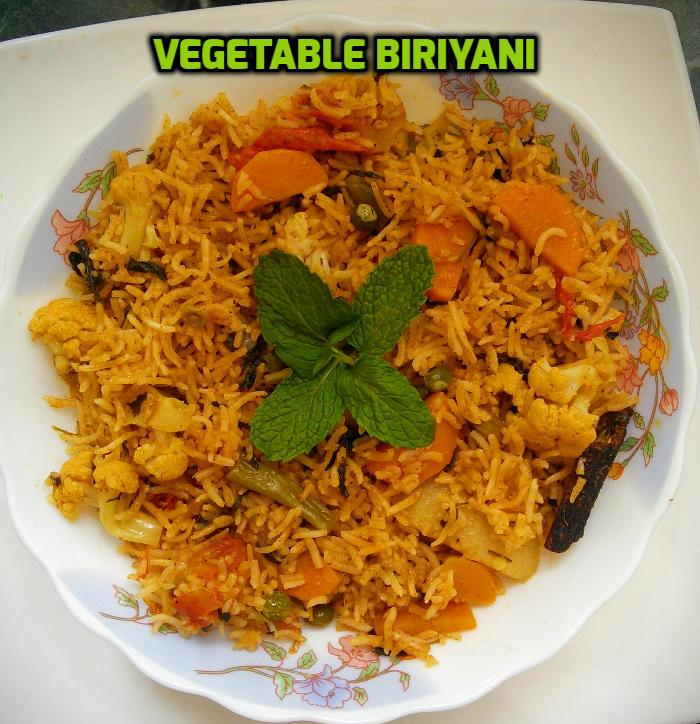 Tasty and easy biriyani is ready. Serve it with onion raitha. Take the basmati rice in a bowl and rinse it in cold water for 3 times. Soak the rice with 1 cup of water for 20 minutes. After 20 minutes drain the water completely. Grind the ginger and garlic with little water. Then add the onions. Saute in low flame till they turn golden brown. When the onions turn golden brown add the ginger garlic paste and green chillies. Saute it till the raw smell of the ginger garlic disappears. Next add the vegetables one by one and saute it for 2 minutes. After 2 minutes add the tomato wedges and saute it one more minute. 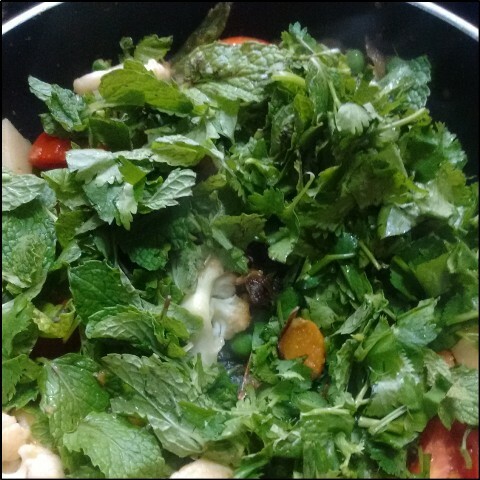 Add the mint leaves and coriander leaves. Saute it for a minute. 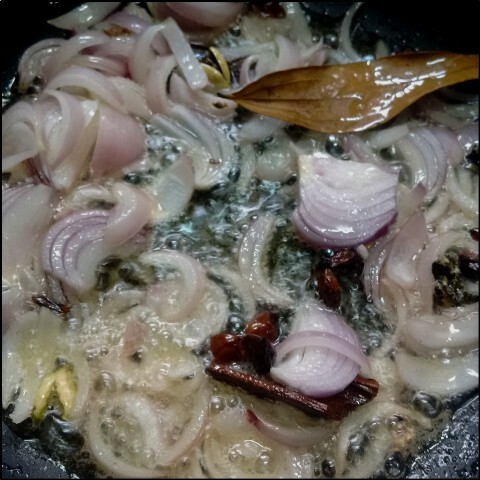 Mam we need to Know about biriyani masala preparation please share it's your own home made.